Scoutee.net – How to remove? 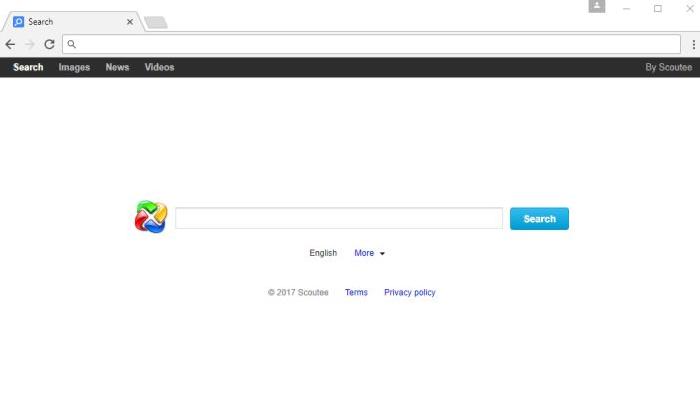 If you experience redirection to Scoutee.net when you open your web browsers, it means that a browser hijacker has affected your computer. Browser hijackers are threats which enter computers to change web browsers’ settings. In most cases, users find new URLs set as their homepages, search providers, and New Tab pages. As for Scoutee.net, it should change the same settings on browsers. It does that to be visible all the time. It pretends to be a legitimate search provider, but do not expect it to improve your searching experience because the only goal it has and tries to achieve is to make money for its creator. How it does that is another question which we are going to answer in this article. Read it till the end if you cannot easily decide whether to delete Scoutee.net from browsers or not too. Scoutee.net pretends to be an Internet search engine, but it cannot do anything good, as specialists have found, because it has been created to generate money. It does that by showing commercial advertisements. When users click on these commercials, the pay-per-click revenue is generated for the developer. It would be too naļve to expect that it will share the generated money with users even though they do the entire job by clicking on these ads. It is more likely that users will get nothing out of this. Actually, those users who decide not to uninstall Scoutee.net from their browsers might experience serious problems. First of all, it is very real that one day they will be taken to pages with infections. These infections might quickly find a way to enter the system without their permission. Second, users might notice that it is harder for them to find the information they looking for due to search results that are not related to the entered search query (commercial advertisements). Third, users do not know about that, but they might experience online privacy problems too because both Scoutee.net and pages opened for them when they click on commercial ads record all kinds of information about them, including the personally-identifiable data. Problems will never emerge if you go to implement the Scoutee.net removal. Keep in mind that the longer this search tool is kept, the more problems might emerge. How can I delete Scoutee.net? Nobody says that it will be easy to remove Scoutee.net from browsers, but it is a necessary step to have a malware-free computer. There are two ways to remove Scoutee.net from browsers. The first one is the manual removal, i.e. users can go to set a new URL instead of Scoutee.net. The second one is the automatic removal, i.e. users can implement the Scoutee.net removal automatically. It will only be possible to employ the second method if a user acquires a good automatic tool for deleting malicious software. When the Scoutee.net removal is finished and this search tool is no longer visible when browsers are opened, take care of the security of your system. The easiest way to ensure its safety is to install security software.